In this letter, pastor and temperance worker C.W. 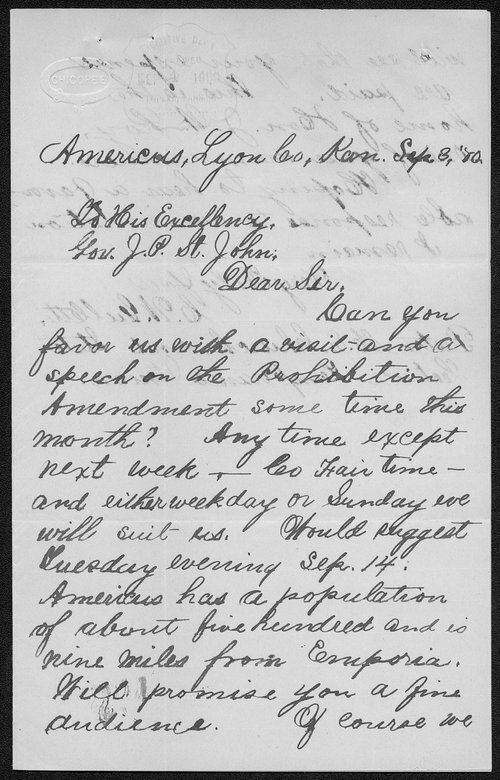 Gullett, invites Kansas Governor St. John to deliver a prohibition amendment speech in Americus, population 500, sometime in September. He promises to cover the Governor's expenses.